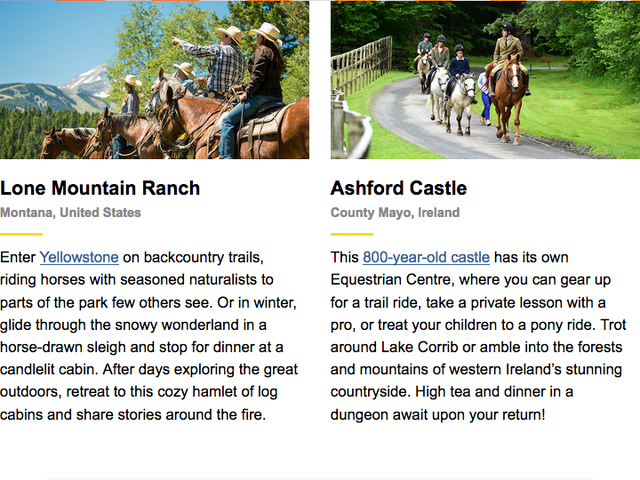 You know the old saying: 'If wishes were horses…' Well if your travel wishes include the romance and exhilaration of riding horseback across breathtaking scenery, check out these riding excursions on National Geographic private expeditions. There's no perspective on the world quite like experiencing one of the world's great equestrian cultures on horseback. The hills are alive with blossoms and birdlife on Africa’s southernmost coast, and exploring by horse is an unforgettable way to explore them. Start your adventure in Cape Town before settling in at Grootbos Private Nature Reserve on the gorgeous Western Cape coast. 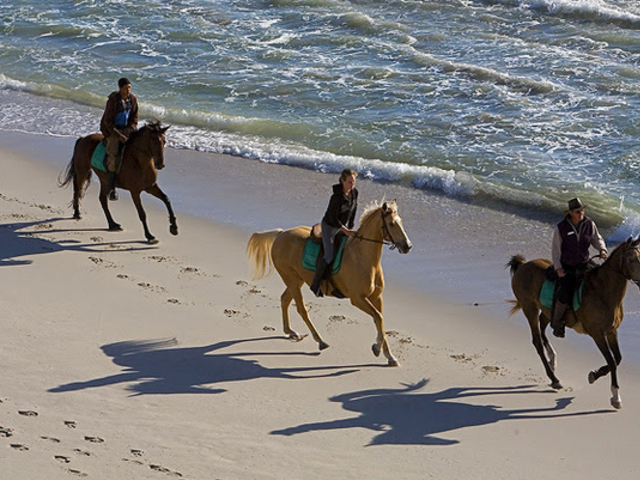 Here, watch southern right whales breaching just offshore and ride through the unusual blooms of the endemic fynbos vegetation, and soak up breathtaking views. Then continue east for a wildlife safari in Sabi Sabi Private Game Reserve. 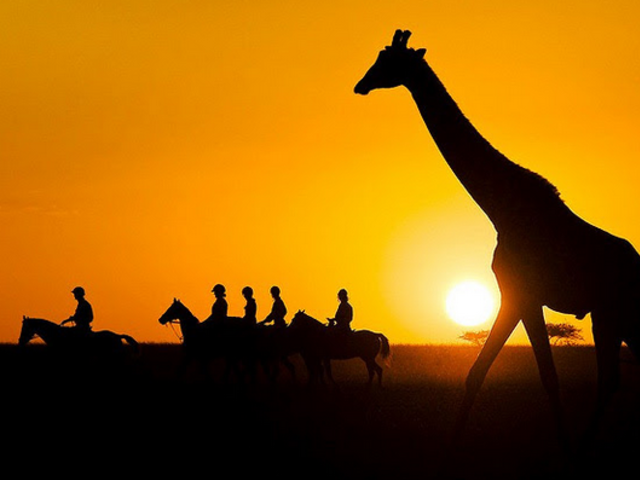 Saddle up in one of Africa’s most iconic settings, encountering wildlife on horseback against the breathtaking backdrop of Mount Kilimanjaro. From your base at ol Donyo Lodge, discover Kenya’s Chyulu Hills by hoof or by mountain bike, go on game drives to spot giraffes and big tusker elephants, and gaze at the night sky from your rooftop star bed. Then head to Mara Plains Camp, set in a private wildlife conservancy on the edge of the Masai Mara, and spend three incredible days on safari. 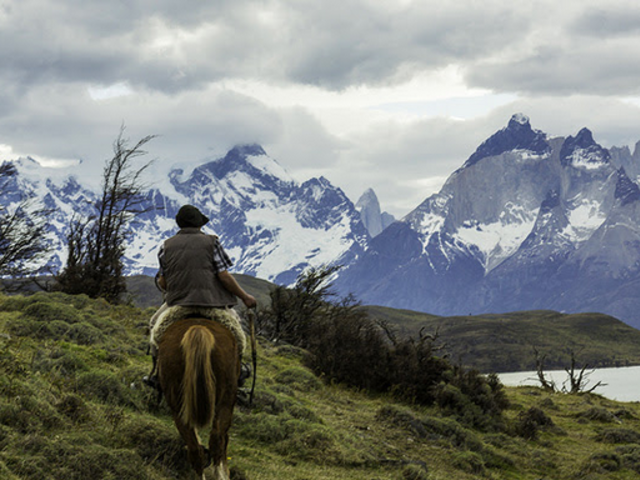 Channel the rhythms of the gauchos, venturing to the sapphire lakes and deep valleys of Patagonia on horseback. On an expedition that combines two extraordinary national parks—Argentina’s Los Glaciares and Chile’s Torres del Paine—experience Patagonia’s spectacular scenery on a variety of hikes, go trekking on a glacier, and set out from Tierra Patagonia with local horsemen to learn about everyday life on a working ranch. 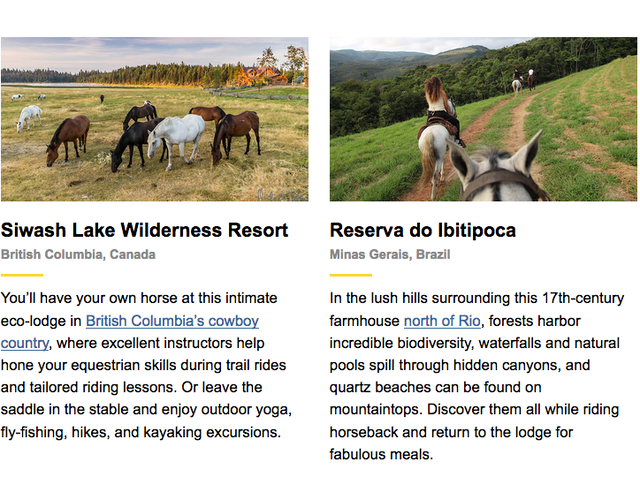 There are more places to head into the wildernesses of the world on horseback with National Geographic; check out some of their lodges where exploring takes place on four legs.